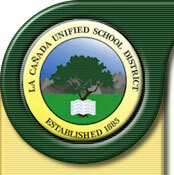 At its July 11, 2006 , meeting, the Governing Board of the La Cañada Unified School District approved the appointment of Anais Ana Wenn to the position of Palm Crest Elementary School Principal. Mrs. Wenn will begin her duties as principal on August 3, 2006 . Mrs. Wenn has a Master’s Degree in Educational Administration from the University of La Verne and a Bachelor’s Degree in Liberal Studies from Cal State University , Los Angeles . Mrs. Wenn has over 15 years of K-8 experience with Glendale Unified School District . Mrs. Wenn currently serves as Assistant Principal of Wilson Middle School in Glendale . In addition to her five years as assistant principal, Mrs. Wenn taught at the second, third and sixth grade levels and also worked for two years as a teacher specialist in the English Language Development program. Mrs. Wenn will be introduced at the August 8 th meeting of the Governing Board. A brief reception will follow the introduction.